Golden Oldies Auto Sales opened in 1991 with 1 location and 2 employees. Today we have 2 locations one in Hudson and the other in Spring Hill Florida. We have a staff of more than 20 hard working employees. We have helped more than 20,000 people get into their new to them vehicle! We help people find the car that best fits their needs and budget. Everyone needs a car to get to work, and at Golden Oldies, we know we are helping people move forward in life. Whether you are looking to buy, sell or trade in your car. Golden Oldies is here to assist you! Sales representatives and Managers that have a combined 200 years of Experience! Come find out why Golden Oldies is Your Hometown Dealer! Our diverse staff ensures there is always someone to answer your questions and someone you can relate to. Our Average Tenure for employees is 13 years! So you can have a Friendly Face to deal with for years to come, there is also a good chance that you'll actually know the person you're working with - making what could be a potentially stressful situation that much easier. Born in St. Petersburg, Florida and raised in New Port Richey, I am a 3rd generation Florida native with a love of cars in my blood. My grandfather started in the Automotive business in the early 50s after retiring a Captain from the Clearwater Police Department. My father followed in his footsteps running a large Automotive Wholesale operation in the Tampa Bay Area before eventually purchasing a Toyota Dealership in the early 80's. I started working for him as a young man buying and selling cars wholesale till he opened the Toyota Store. I joined him there working my way up from the Service and Parts departments into Sales and Finance side of the business. When he sold the Dealership I went on with my wife to start Golden Oldies Auto Sales. I am still responsible for purchasing the inventory and heavily involved in the day-to-day operations. I am very lucky to have met many friends and business contacts along the way. I feel very fortunate to still truly enjoy my work. 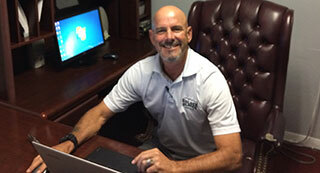 Tony has been in the Pasco/Hernando area for 28 yrs. He has been happily married for 26 years to his wife Paige. His family is his life, he has 3 children, 24yr old daughter, 22 yr old son and his baby girl who is 17. He has been in sales for 26 years and he says he has never SOLD anyone, but he has earned a lot of customers business. Tony enjoys helping people out without the drama of the (typical car sales stunts) He is honest and loyal. He has the ability to build solid relationships because of the way he treats people and the value he provides them. 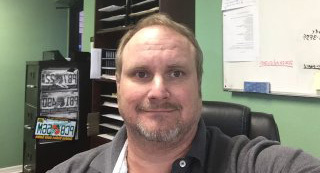 Tony is very active in the community, he is part of BNI, West Pasco Chamber of Commerce, Hernando County Chamber of Commerce for the last 7 years also sits on the Leadership Pasco Board of Directors for the last 4 yrs. 20+ years experience in all aspects of the automotive industry. Kenny has a professional way of helping people find the perfect automobile for their lifestyle and budget. Originally from Boston, Pete has been in the car business since 1984 working both in New Car Sales and Pre-Owned sales, the last 18 years right here at Golden Oldies. Pete has been a Pasco County resident since 1989. Pete is an active member of our local chapter of Business Networking International, BNI for short where he is not only a board member but also an Attendance Champion! Pete is married with two adult children and is very active in his free time and is an avid kayaker and do-it yourselfer! 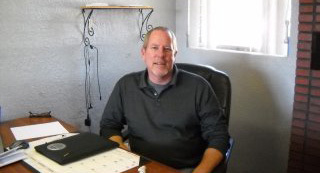 Let Pete put his 30 plus years of experience to work for you! Originally from New York, Jim is the most senior member of our staff at well over 20 years right here at Golden Oldies where he has helped over 3,500 people get into their new-to-them Car, Truck, Van and SUV's! Jim has been in the car business since the late 70's working both in Finance, Management, New Car Sales and Pre-Owned sales! Jim has lived and worked right here in Pasco County since 1978. 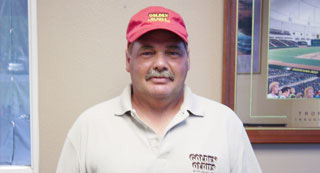 Jim has three adult children and five very active Grand Children in his free time and is an avid fisherman and boater! 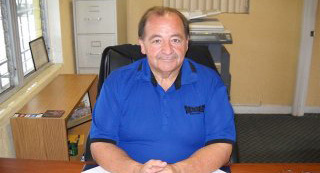 Let Jim put his almost 40 years of experience to work for you! Originally from New York I've been with Golden Oldies over 20 years as Service Manager and Chief Mechanic. 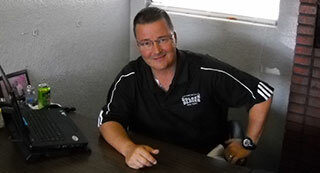 I have 35 years of ASE certified experience, and being an expert in all phases of auto repair. My customers know that our vehicles are in top shape when sold! I’m proud to be an original member of the Golden Oldies Team. My name is Bryan. I'm originally from Northern Illinois and have lived in Hernando County since 1991. 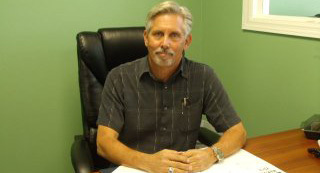 I have been a sales professional working in the beverage and automobile industry for over 30 years. 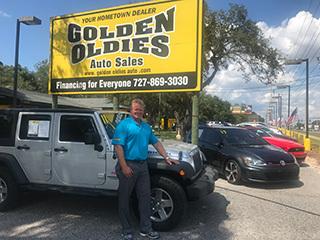 I'm proud to be part of the sales team of Golden Oldies Auto Sales where I can serve the surrounding area honestly with a low pressure experience. Come by and say hi or call my cell phone at 352-835-6702. I look forward to helping you with your next purchase. Rick is no stranger to the Automotive Industry, having spent over 20 years as a Pre-Owned Sales Manager, Business Development Director and Finance Manager not to mention beginning his career as a Salesperson where he was Salesman of The Year 4 Years in a Row! Here at Golden Oldies all his years of experience can come together helping clients not only select a vehicle but also can help with the sometimes tedious job of the finance process as well as help you navigate the process of selecting what type of loan and vehicle protection that best suits your needs! Rick is married with 2 children one of which attends the U.S Air force Academy and the other is a high school Sophomore! Hello friends and future friends and customers! I am originally from the Jersey Shore. 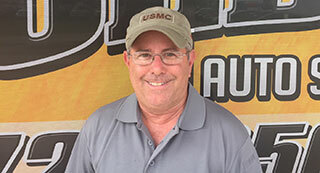 I have been in the car business since 1999 and before that I served in the US Marines for 21 years. I have been married for 35 years and have two adult children, a son who is also a former Marine and lives in New Hampshire, and a daughter who works and lives in PA. Looking forward to helping you and your family and friends with their next vehicle purchase. WE AT GOLDEN OLDIES TAKE GREAT PRIDE IN CUSTOMER SATISFACTION! Golden Oldies can be found all over the communities of Port Richey and Spring Hill, the same places our employees live, work and flourish. Our dealership spends countless hours in our community building relationships, we're not simply here working in Port Richey and Spring Hill, we're making friends. You might see us on the lot helping you with a used Car Truck or SUV, or at your sons or Daughters baseball game. Our Service Center Master Technician who recently changed your oil, might bump into you at your favorite Port Richey or Spring Hill grocery store. Being an active member of our community is a top priority for Golden Oldies. Please contact us. We would love to hear from you.